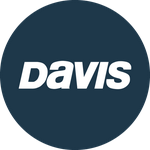 Davis Instruments Support, FAQs and Troubleshooting - Does the Windex 15 need to be balanced after purchasing? All Categories ​>​ FAQ ​>​ Marine ​>​ Does the Windex 15 need to be balanced after purchasing? Does the Windex 15 need to be balanced after purchasing? Your Windex 15 should be balanced from the factory. If you think it is not we recommend you send it back to us for adjustment. If you would like to check it yourself you should do the following: simply hold it sideways (the shaft perpendicular) and the vane should be horizontal to the ground. To adjust the balance, remove the brass clip holding the lead counterweight and slide the counterweight back and forth. Once balanced is achieved, put the clip back in place.